Wonderful 5 bedroom home in beach-close shorecrest. This lovely home offers remodeled kitchen with stylish 3” maple custom shaker cabinets with designer insets, caesarstone counters, stainless steel appliances (includes refrigerator), custom lighting and walk-in pantry. Cozy breakfast nook adjacent to kitchen offers perfect spot to enjoy your morning coffee. Formal living room with gas fireplace and custom surround; spacious dining area open to both kitchen and family room with views of private backyard. Spacious master bedroom with remodeled bath and walk-in closet. Additional upgrades include wood stairs with custom mosaic tiles; remodeled powder bath; modern designer flooring, plantation shutters, newer interior paint with oversized baseboards; closet organizers; dual-paned windows & doors; newer interior doors, recessed lights and scraped ceilings. The wonderful entertainer’s backyard includes covered patio with built-in bbq island, bar refrigerator (also plumbed for water) and plenty of guest seating. Newer hardscape with flagstone planters and soothing water fountain. A cul-de-sac location (does not back street) plus “award winning” schools. All of this and less than 1. 5 miles to white sandy beaches! Welcome home to 8221 michael dr huntington beach! 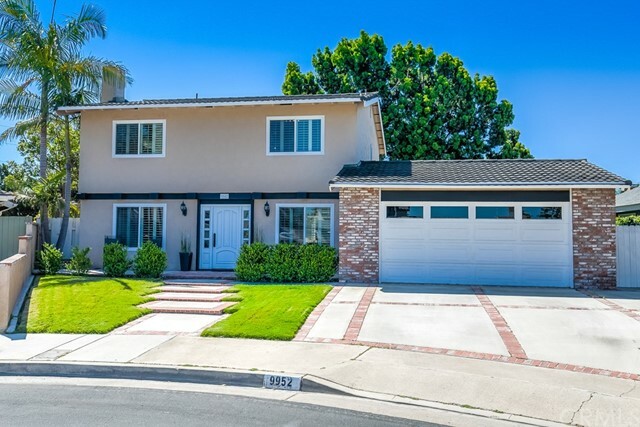 This lovely remodeled 3 bed 2 bath single detached family residence is ready to be your home. Spacious drive way and inviting entrance welcomes all to this cozy home featuring all remodeled-framed doors/windows, and wood laminate floors throughout! Upgraded front door features programmable entry. Led light, crown molding, plantation shutters throughout the home. Kitchen has upgraded cabinets, granite counters, and ceramic tile floors. Open living room features ceiling fan and marble fireplace. Master bedroom features large window, walk in closet and master bath upgraded with granite shower walls and new vanity. Second bedroom also features large closet and window. Second bath remodeled with solid metal tub, new wall to ceiling tiling, granite top vanity with storage, and ceramic floors. Third bedroom has good size closet, chair railing, ceiling fan and double glass doors leading to back yard. Well maintained yard features covered patio, planter wall and led floodlights on both side of the house. Garage has been upgraded with professional epoxy flooring, insulated walls and garage door, built in cabinets/counters, ceiling fan and wired to be used as additional living area. 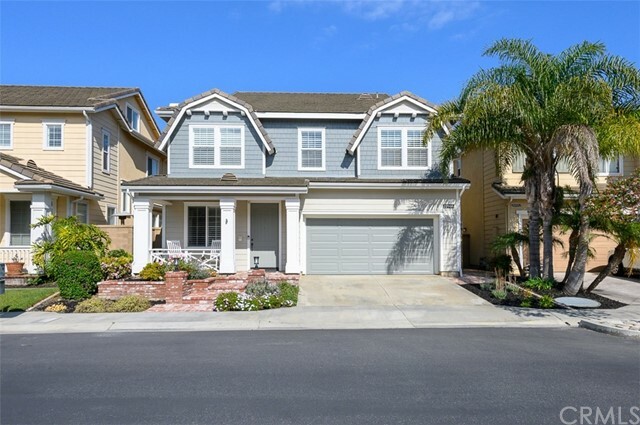 Home conveniently located near bella terra shopping center, golden west college, huntington beach pier and beaches. Easy access to oc major freeways. Please schedule a visit today! 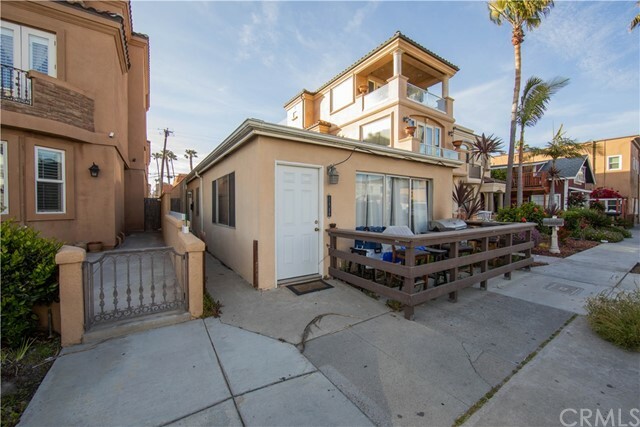 Desirable downtown huntington beach duplex with ocean views and only steps from the sand & surf, as well as main street and strand shopping area/hotel!!! New, new, new, remodeled 2 bedroom, 1 bath end unit with low hoa dues. New flooring, crown molding, designer paint, quartz counter tops, wardrobe doors, lighting, appliances and faucets. This quiet end unit is situated in the best location of the entire bayshores community as it also offers additional parking and street access from the back door patio entrance. Included is a beautiful community club house and pool. 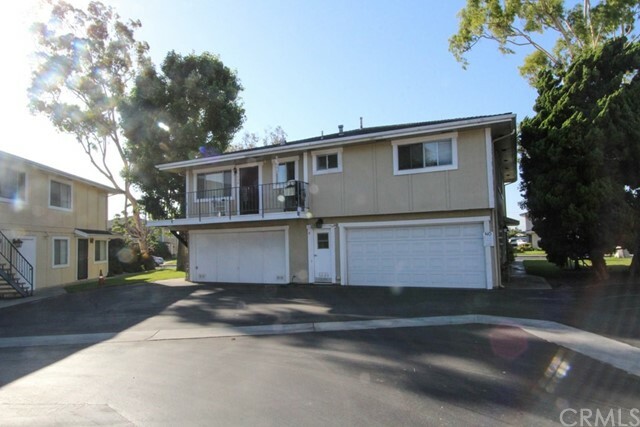 Close to talbert and easy freeway access make this huntington beach address a great bargain. Act now while you can still buy at this price level! This beautiful detached, single family home is just a few blocks from the beach. It's an easy walk or bike ride to the beach, the iconic hb pier, pacific city, or main street. The location doesn't get any better than this. With 3 large bedrooms and 3 full bathrooms, plus a second floor bonus room, and a third floor loft, this is the perfect house for families or anyone who likes to entertain. The huge loft on the 3rd floor makes the perfect home office or possible additional bedroom. It has unique plantation shutters that can either be closed for privacy or opened up to the vaulted ceilings of the second floor bonus room for an expansive feel. The master bedroom features a built in dresser and plenty of room for a king sized bed, plus extra space that could be used for a workout area, office space, or reading nook. The adjacent master bath has a large shower, separate jacuzzi tub, two vanities, and a walk in closet. The second floor also has two additional large bedrooms with built ins in each closet, a vaulted bonus room, a bathroom with double vanity and separate toilet and shower area, and a large laundry room with utility sink. The main floor bathroom has a shower that is perfect for rinsing off after a day at the beach or for accommodating extra house guests. This home is on a quiet street at the back of the neighborhood, and you'll love the extra privacy of having no neighbors behind you. Plus, there is central air conditioning! 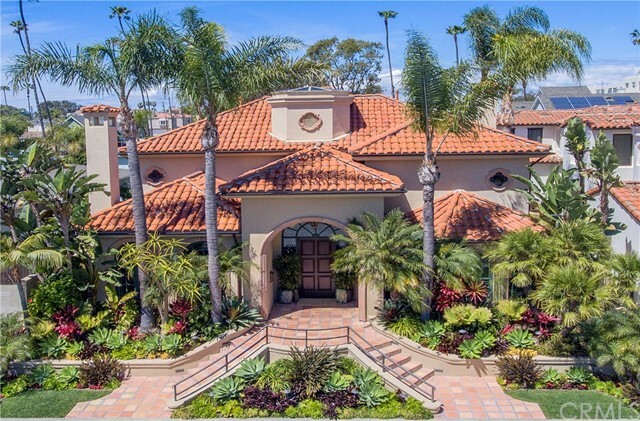 Magnificent mediterranean estate on oversize lot in the “park area” of downtown huntington beach! Located just six blocks to the beach and a short stroll to schools, parks, main street village, doggie beach, and the new pacific city development. Breathtaking architectural design with lush landscaped tropical gardens, fountains, sunny courtyard, & sky lit atrium. Unique open floorplan features sun filled spaces and the feel of an elegant, yet casual resort! Most importantly, it has all the functional spaces you are looking for to entertain and really enjoy beach living: formal living & dining rooms, gourmet island kitchen, casual dining nook, large family room with bar, downstairs office (could be a bedroom), and wine celler (downstairs powder room could be expanded into a ¾ bath). Upstairs features: a luxury master suite with balcony, fireplace, separate tub & walk-in shower. The laundry room, along with two additional bedrooms & two full baths. The garage is enormous with walls of cabinets, epoxy floor, and a full bath, it could fit 4 cars! There is also rv parking adjacent to garage. Lots of space to store all your beach gear! 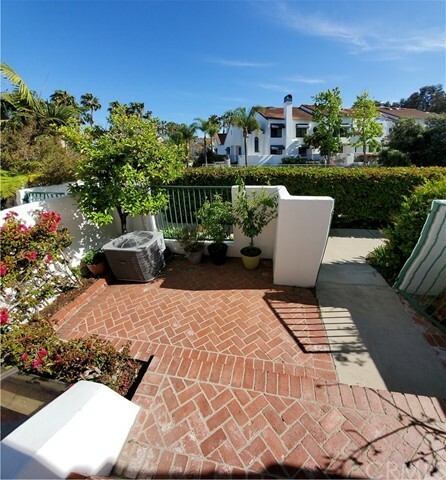 Pacific ranch is a resort-like, gated community close to pacific city, the beach, pier plaza, highly-rated schools, parks, civic center, and seacliff village shopping center. Boasting 3 pools/spas/clubhouses, lush landscaping, and relaxing walking paths help make pacific ranch the place to live. This tri-level townhome sits high on the hill and faces south soaking up our california sunshine and being refreshed by ocean breezes. The mediterranean style home with red tile roof is well-maintained by the hoa with dual-paned/tinted windows and recent paint. The home has wood flooring, tile and newer carpet, granite counters, new paint, and many other upgrades. Granite counter tops in kitchen and 2nd master suite. Surf city dreaming condo under $400,000! 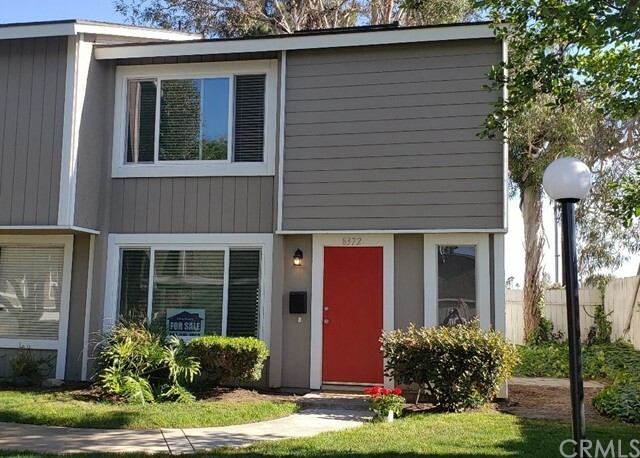 A rare end unit is now on the market with many upgrades, featuring laminate wood flooring, recessed lighting, dual-paned windows, new kitchen with granite counter top and newer paint. Some of the hoa amenities include a large swimming pool, basketball court, and garden parks. Plenty of guest parking in the neighborhood. Centrally located near bella terra, the 405 freeway & downtown huntington beach, you may want to hurry before this condo is sold! Welcome to surf city, huntington beach and this meticulously maintained villa pacific home that exhibits complete pride of ownership. Enjoy being located just a little over a mile to the beach in this single family attached home. Features include dual master suites upstairs, one with a large walk in closet & the other with a triple wall closet. The downstairs floor plan is ideal for entertaining with its circular flow & inviting feel. The cozy den area is a great place to relax and is capable of becoming a 3rd bedroom. The kitchen, living & dining rooms have views of the beautiful brick fireplace & the lovely back patio. The upgrades are numerous in this wonderful home: dual pane windows & sliders, new front door & security screen, crown molding, recessed lighting, high profile baseboards, tile floors, plantation shutters throughout, newer kitchen appliances, & complete re-piped in 2002. The beautiful brick patio & planters entertaining guests outside year around. The patio also has direct access to your 2 car garage with washer/dryer hookups & water heater. This beautiful community boasts 3 swimming pools, spas, recreation rooms, sauna, tennis & basketball courts, shuffle board, playground equipment & rv parking for trailers or boats. Enjoy a walk to the beach on a trail a few steps away. Nearby are great public & private schools, shopping, dining, entertainment & recreation. Savor the ocean breezes & all that the beach & ocean have to offer you with this wonderful home.